Visit Vinpower @COMPUTEX Taipei 2008, at the brand-new TWTC NANGANG Exhibition Hall! As COMPUTEX TAIPEI grows larger this year with the use of now 4 different venues in total, the success of TWTC Nangang Exhibition Hall opening has no doubt marked a significant beginning for the show! Vinpower will have a brand-new booth visually and new product offerings at this show. If you plan to join COMPUTEX, please visit our booth located at TWTC K516 and share with us whatâ€™s certain to be a brilliant year. As COMPTEX TAIPEI 2008 enjoys its grand opening in the brand-new TWTC Nangang Exhibition Hall, it will also be one of the largest exhibition venues in Asia. TWTC NANGANG is located in Taipei City’s Nangang Economic and Trade Park. This was developed by the company which organized the world famous TAIPEI 101 New Years firework display for the past three years. The extravaganza left international guests in awe. Design, construction, and operation of NANGANG Hall emphasize the three features of professionalism, MRT (public transit system) interconnectivity, and mega capacity. 1. Professionalism: TWTC NANGANG is the first purpose-built exhibition hall in Taiwan designed specifically for hosting large exhibitions. It is equipped with a large lobby to handle large crowds and process registrations. Other professional touches included hidden cabling troughs, loading/unloading zones and exhibition access controls. 2. MRT Interconnectivity: TWTC NANGANG is connected via underground corridors to the MRT stations for the Neihu Line and Blue Line. Once MRT service is available, it will carry more than half of all exhibition traffic, so visitors can arrive at the exhibition hall easily and safely. As the Neihu Line is also connected to the Songshan Airport, buyers from out of town can take the MRT from the airport straight to TWTC NANGANG without having to worry about traffic jams or the weather. 3. Large Capacity: TWTC NANGANG offers twice the space of TWTC Hall 1. The lobby, outdoor exhibition spaces and conferencing space together can hold nearly 3,000 standard booths. The exhibition hall on the 4th floor is 126m by 180m in size and has a ceiling height of 27m. When used for large concerts, it can hold nearly 30,000 people, making it the largest indoor performance venue in Taiwan. Having participated in past Computex trade shows, which have been very beneficial, we recognized the need for a more modern and effective building to showcase such a popular trade show. 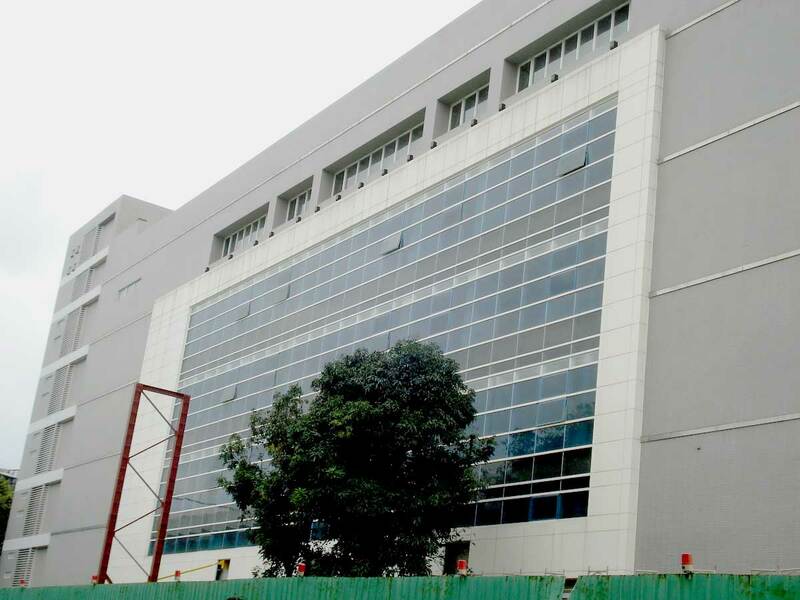 This new building will better reflect the technological innovation and product quality that is expected of vendors from Taiwan and that you will see from Vinpower Digital. When shopping for electronics in Taiwan, thereâ€™s one place where you can find everything you need! When an electronic company contemplates; where in Taiwan is a good place to launch, promote, and/or conduct a satisfaction survey for new products? There is always one answer that is obvious, that place is the Guanghua Market, a storehouse of information. 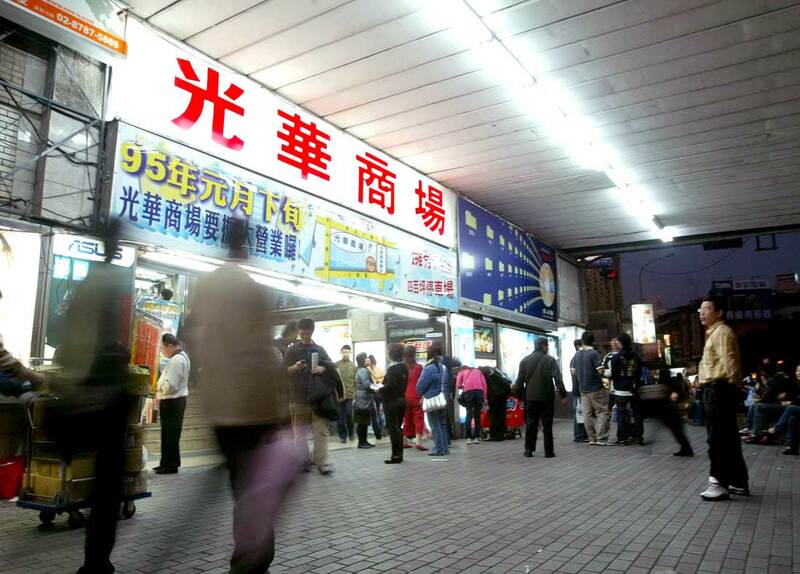 The Guanghua Market is one of the most popular tourists destinations in Taiwan, and has been around since 1971. At first, it was occupied by second hand book stores and antique sellers. Eventually the Guanghua Market morphed into a pioneer for stereo and electronic equipment. With the growth of the personal computer as a consumer product, Guanghua Market again evolved into what it is now, the prime marketplace for communications equipment, electronic games, computers, and consumer electronic goods. When you enter the Guanghua Market, you will see many famous brands of computer showing the range of products being offered. In fact, more and more big name companies value Guanghua Market as a retail channel. Why? Because it attracts tons of customers from nearly every income bracket and social level to shop in one place. Therefore bigger corporate companies are willing to assist the retail stores inside Guahghua Market with marketing funds for product placement, promotional signs and interior design space. Guanghua Market is a very competitive market as well. Therefore only good, high quality, popular items can survive amongst the selective nature of the many customers that frequent this shopping mecca regularly. So of course Vinpower Digitalâ€™s products are not only sold in Guanghua Market, but in demand. The full line of Vinpower Digitalâ€™s duplication products are available within this competitive market. The reason is because all of Vinpower Digitalâ€™s products have a strong reputation for being high quality, reliable and the most popular. Next time you come to Taipei, Taiwan, donâ€™t forget to visit the Guanghua Market and see Vinpower Digitalâ€™s products. 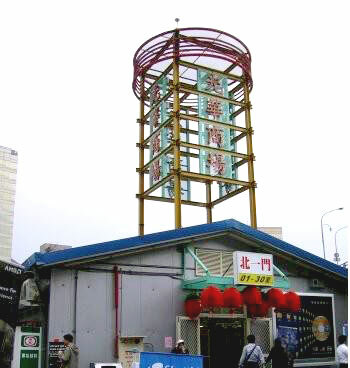 Old Guanghua Market â€“ located under Guanghua Bridge between Bade Road and Civic Boulevard in Taipei. Arctic sea ice reflects about 80% of the sunâ€™s heat, stabilizing the colder temperature of the ocean. In a press release from the National Snow and Ice Data Center (NSIDC), the Arctic Sea ice shatters all previous record lows. 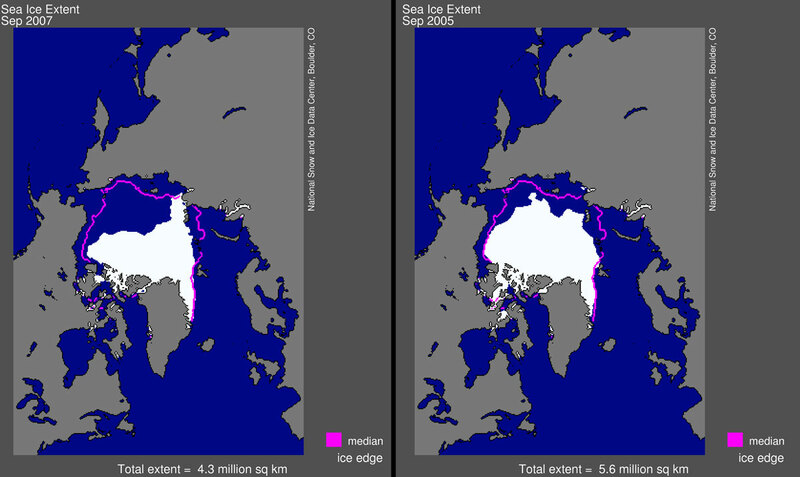 NASA climate scientist, Jay Zwally – predicts that nearly all the ice could be gone from the Artic Ocean by the end of summer 2012.
ï¬	Arctic sea ice during the 2007 melt season plummeted to the lowest levels since satellite measurements began in 1979.
â€œWe have passed tipping points. We have not passed a point of no return. We can still roll things back, but it is going to require quick turn in directionâ€ – NASA’s top scientist James Hansen. The aim to stop global warming is to emit less CO2 into the atmosphere. Mother Nature has already allowed green plants and trees its role to live up with us. However, the role of humans in the deforestation of the world’s forests has already caused considerable and extensive damage, plus an increasing impact rate on global warming. Globally, about 42% of industrial wood harvests are devoted to paper production. Deforestation is a major issue affecting our ecology and the damaging affects of global warming. More specific, fresh paper, made from tree pulp and even recycled paper can have a devastating affect on our planet and the environment. That is why digital media such as optical discs and the internet, can help stem the tide in this global crisis. 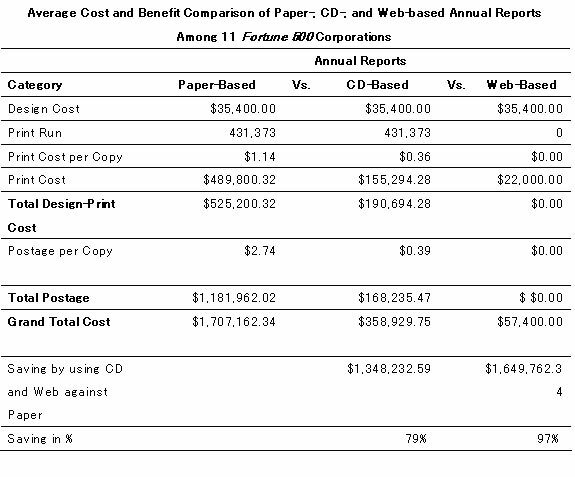 The study exhibit that CD/DVD/Blu-Ray based writing media already has its real and meaningful contribution, not only in storage, entertainment, advertisement etc., but also in contributing its part to combat global warming. Vinpower Digital has contributed our portion to save our planet to make it a better place to live in. How about you?